When the alarm on my phone buzzed this morning, my brain started its familiar sabotaging tricks: stay in bed, it’s Sunday! Don’t drive to Wanderers and run a stupid 10km race. Stay in bed, it screamed. Luckily I had committed to two friends that I’d run the race with them, which was a good enough excuse to fight back those negative thoughts. Meeting up with Tanya among 7000 runners was surprisingly easy and as that gun went off, we had already started to catch up. Work, life, kids, food, running… all the usual stuff. I had promised my trainer, Stacey, that I would focus on my heart rate and my breathing, so the walk / run approach suited me perfectly. Some days, you learn about your body. Other days, you test the willpower of your mind. But every now and then, it’s the company during the run which is what you need most. Today was that kind of day! Surround yourself with people who inspire you, who build you up and make you believe in yourself. There’s no better time than when you are out on a run because when you’re running, you’re automatically in a winning frame of mind. 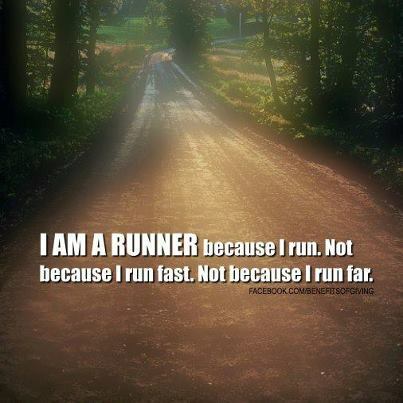 When you run, you are already giving back to your body. The conversations are pure gold. Thanks Tanya! Good soul food! I forgot about the uphills and didn’t obsess about watching the time on my Garmin. Oh and I did offer to push the pram during our run while Tanya tweeted & cheered on the Rockies 21km leading runners. Wow! New respect for runners who run pushing prams because it is not easy! You do feel like a million bucks when people cheer you on though! That last kilometer was amazing! I wanted to give KK something special for his Comrades race, something meaningful. But he’s not the soft, fluffy teddy emotional kinda guy. A rather introverted engineer, he’s not into deep quotes. He’d rather watch cat videos on YouTube than a motivational TED video and Hallmark cards aren’t his thing. His face went blank when I even suggested that we watch Chariots of Fire together the week before Comrades, so I really was torn as to how I showed him my support & that he knew I understood the significance of his race and what it meant to him. I knew he wanted his back to back Comrades medal more than anything. This is a medal only given out to those who run the Up run and return the next year to run the Down run (or vice versa). It wasn’t even about beating his previous time. All he spoke about was these two medals and ensuring he finished in time because this would be his only opportunity to get it. So the night before the race, I packed two coins into a tiny plastic bag which I gave to him to run with. 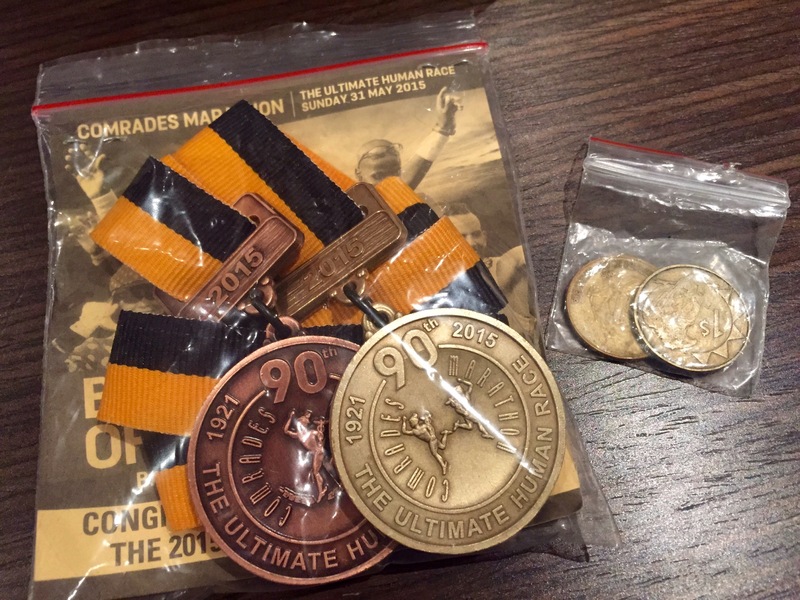 The two coins symbolized his two medals and I told him that each & every time he felt like quitting or when it got tough out there along the route, that he should reach into his running belt and feel the two coins. Feel and envisage what he was running for. 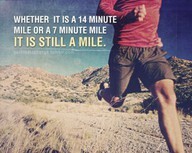 My Coach has managed to teach me that yes, running is all about consistency and discipline. On the days I get home from work and crash on the bed, I know that heading out that door for a 30 minute easy run will do my body and mind a whole lot more than a half an hour snooze. I’ve come to realise that it’s my mind that needs the extra training some days, not so much my body. Running, home-life, at work. Believing in myself. Pushing myself out of comfort zones and stretching myself. I know I can do it. 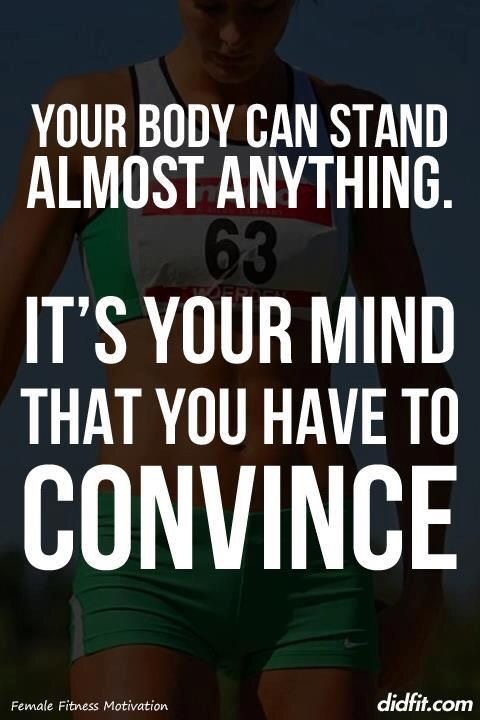 I need to train my mind to believe it!